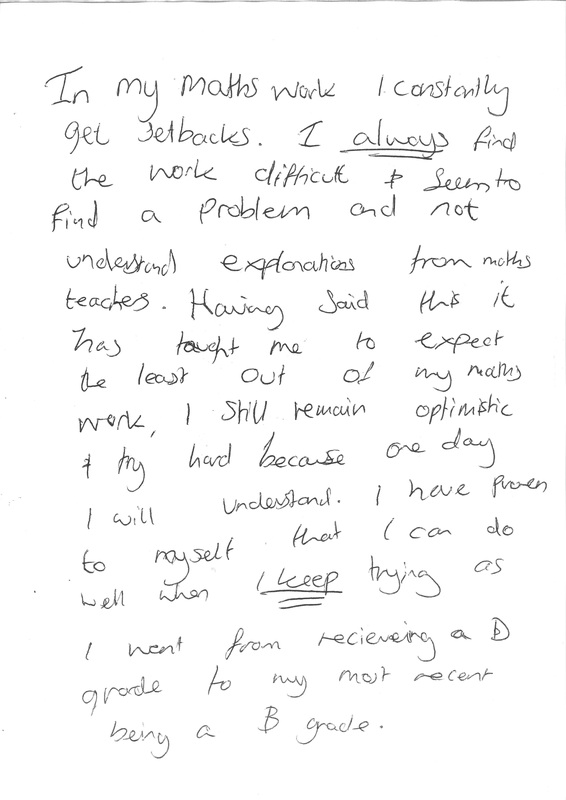 wow – this pupil really has an excellent meta-cognitive grasp of their learning and I would be so proud of their attitude and effort. Love it. Made a crappy day much better. More reflections on growth mindset. Wow, there’s a lot of power in such honesty. Yet it’s not weakness, is it? In understanding failure/difficulty/challenge, there is a sense of control. Say ‘thanks’ for this. Really gets me thinking.